A modern, 3-channel version of the classic Leslie speaker for your organ or keyboard. The Leslie 2101 mk2 Rotary Speaker, just like its predecessor, is a complete standalone unit. 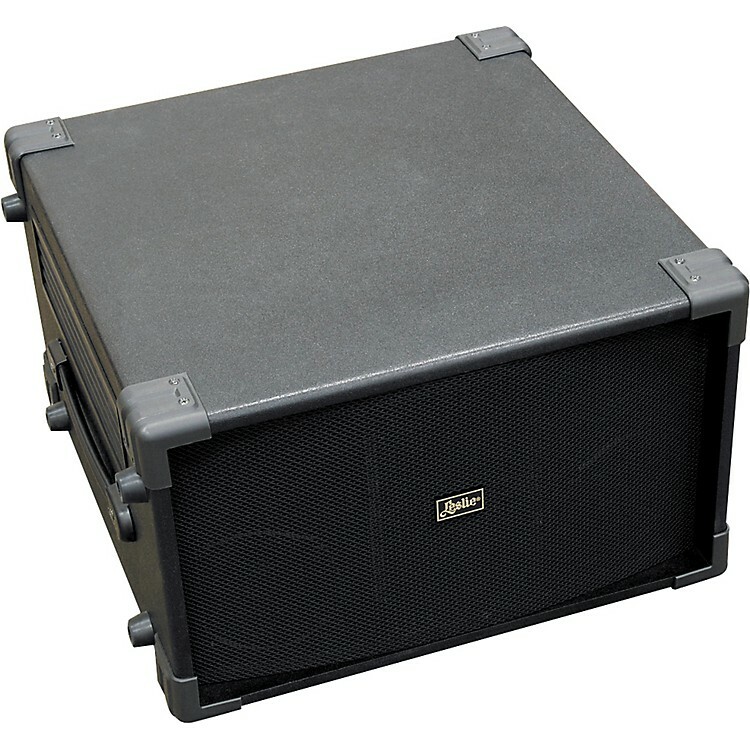 With a versatile, multiple-channel design, this outstanding Leslie speaker can be connected to any keyboard or organ requiring an amplifier with a single channel or multichannel inputs. The newly design vacuum tube preamp and overdrive section and advanced Digital Leslie simulator enhances the overall audio quality giving you professional-grade sound reproduction. The Leslie speaker contains two stationary channels, namely, left and right, and a rotary channel. Each of the stationary channels is powered by a 75W RMS amplifier and the rotary channel is powered by a 50W RMS amplifier. This fives you a total of 200W RMS power. An 11-pin Leslie socket as well as 1/4" line are provided for the Rotary channel and for the left and right stationary channels. The musician can adjust the slow and fast speed, the rise and fall time, as well as the brake time; plus, the setting can be saved. A MIDI terminal enables control of many of the Leslie functions from your organ or keyboard. Best of all, the speaker maintains the traditional Leslie sound.